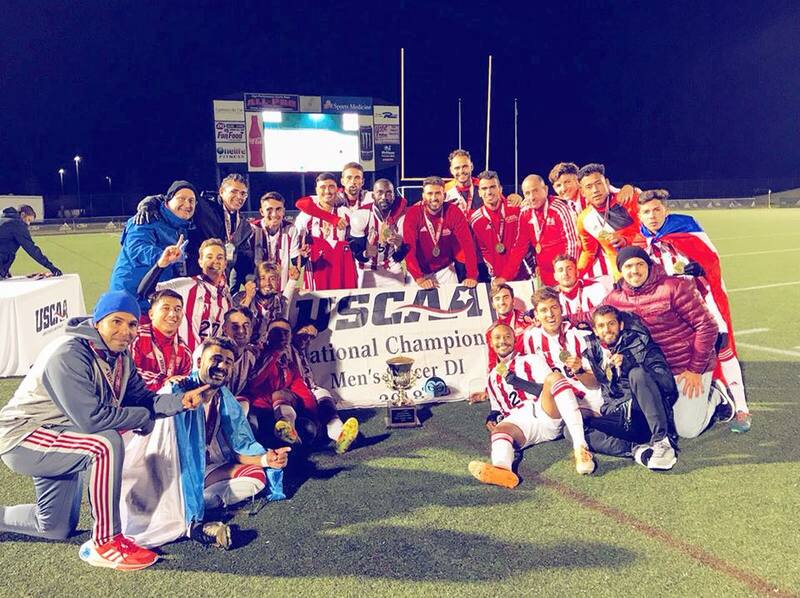 Virginia Beach, VA – In yet another physical, defensive contest between Florida National University and Bryant & Stratton College Syracuse, the Conquistadors have emerged as National Champions. This marks back to back titles for Florida National and the fourth consecutive runner-up trophy for the Bobcats of Bryant & Stratton. The Bobcats had a tougher route to the Championship than in year’s past. Bryant & Stratton lost their first contest against Cleary University, their first pool play loss in three USCAA tournaments. They returned with a vengeance, knocking off the three seed – University of Maine Fort Kent 5-1. Maine Fort Kent would defeat Cleary 4-3 the next day to give Bryant & Stratton a trip to the finals on the first tie-breaker of differential. 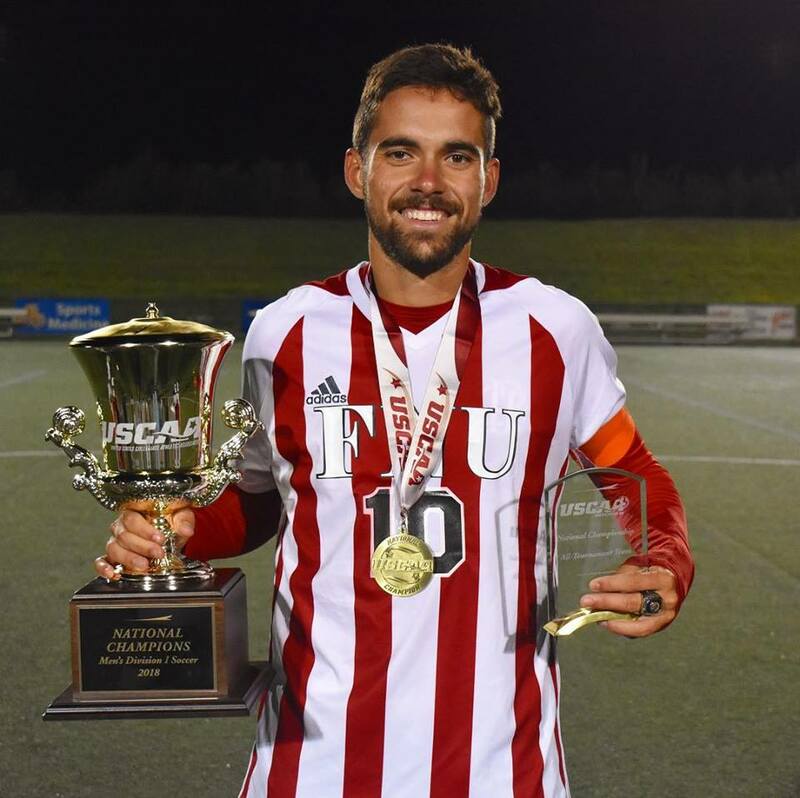 Florida National University took a different route, sailing through pool play by a combined 14 goals against Washington Adventist University and Paul Quinn College. In the Championship game, Florida National University controlled much of the early possession. 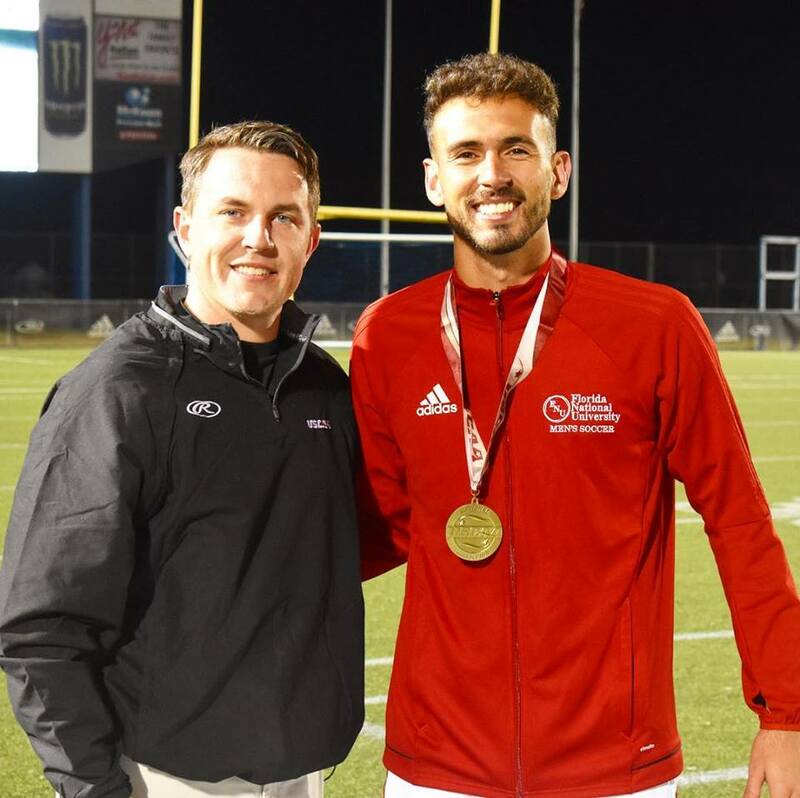 At 0-0 it appeared that the contest might go into the half tied, before USCAA National Championship MVP Pedro Veiga put the ball in the back of the net off a cross from Sebastian Aldunte. The Conquistadors had several chances in the game, putting six of their 12 shots on goal. This would be the only goal of the game, however, as the Conquistadors claimed their second title in the 2018 Fall Championship Week, their volleyball team having won their first title yesterday. It marks the second straight national championship for Florida National University, which finished 16-1, and with 14 consecutive wins. 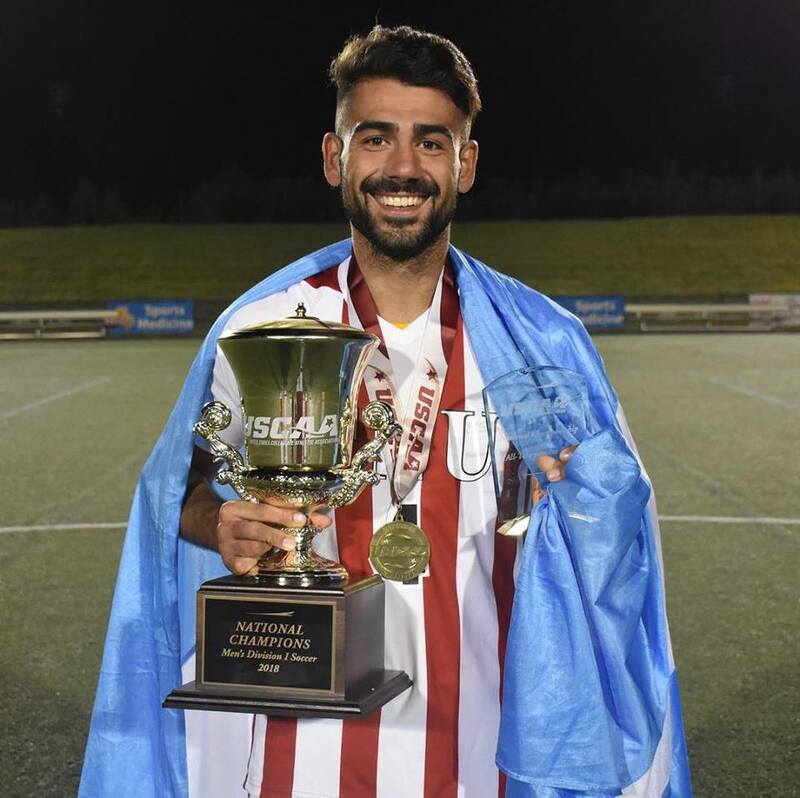 Four FNU players made the All-Tournament Team and Pedro Veiga, who scored the championship goal, was awarded as USCAA National Championship MVP (most valuable player). 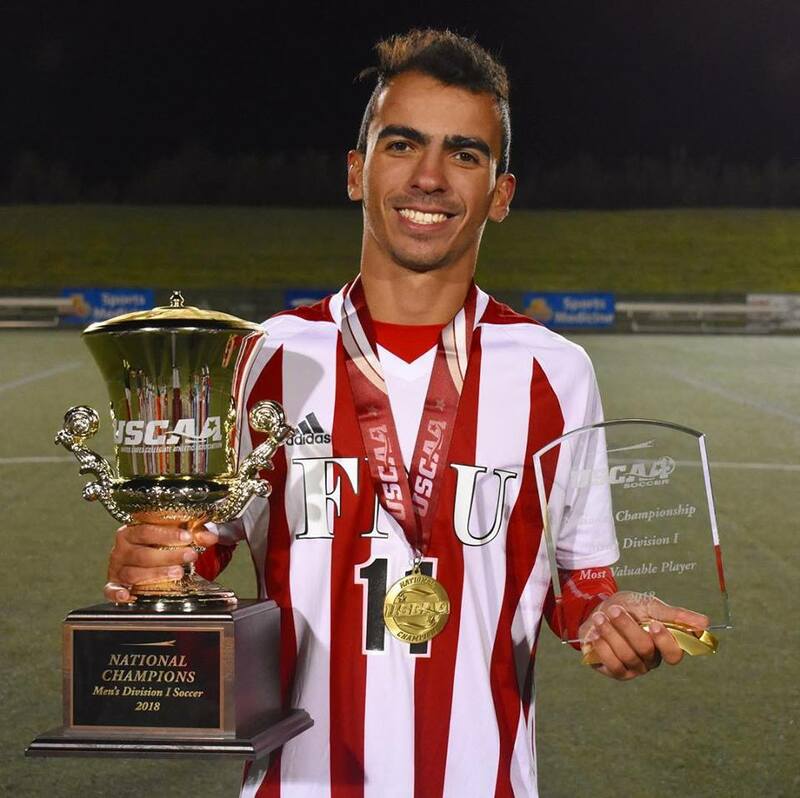 Pedro Veiga | Florida National University – 2018 USCAA Men’s Soccer National Championship MVP. “This season was really special because I could make histories that I’ll bring for the rest of my life. Even in my best dreams I couldn’t imagine being back-to-back national champions. I’m also happy for being awarded with the All American second Team and MVP of 2018 USCAA National Tournament.all Tournament. 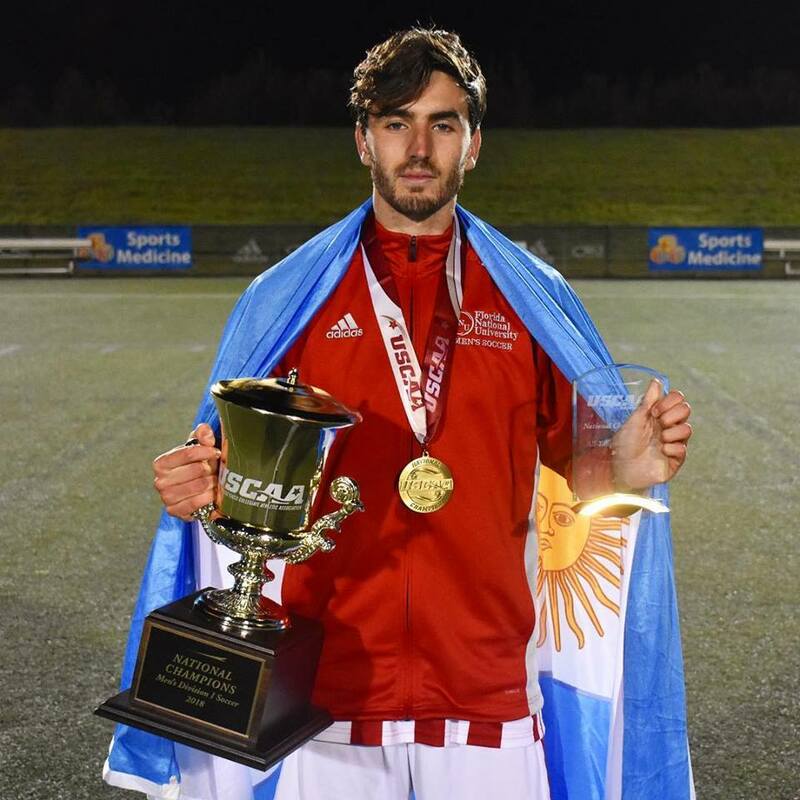 I just want to thank god in first place, my teammates and the coach staff” said Pedro Veiga after receive the All-American second team award and score the championship winning goal and be awarded with the MVP trophy.